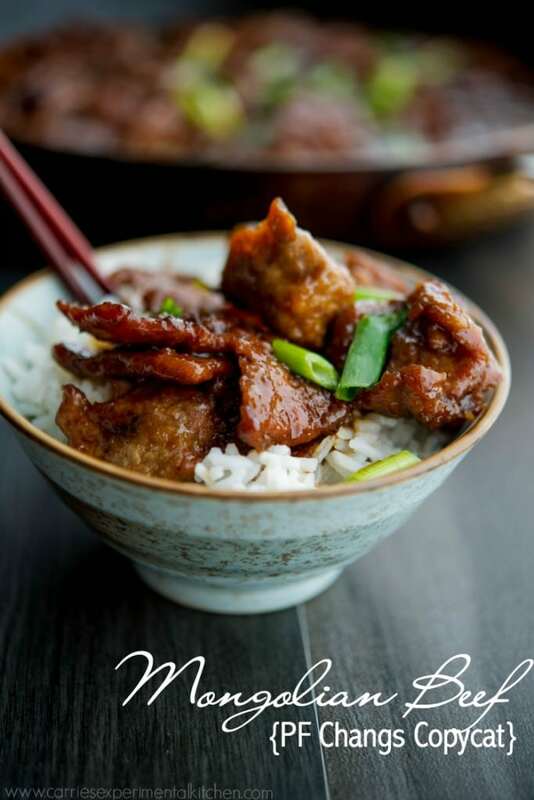 Enjoy PF Changs Mongolian Beef in the comfort of your own home with a few simple ingredients. I mentioned a few weeks ago when I posted the recipe for the Pineapple Coconut Ice Cream that during our vacation this summer in Florida, we ate at PF Changs. We don’t dine there often, like I mentioned, because the closest restaurant to our home here in NJ is about 40 minutes away. But whenever I do go there, I always get Mongolian Beef. I have tried the kind you can now find in your grocers freezer section, but it didn’t taste as good as the restaurant version. I’ve also seen several recipes online (Pinterest, of course!) and saw how easy the recipe was to make at home so I decided to use the recipe from Jo Cooks as my guideline and of course I tweaked it a bit to our liking. 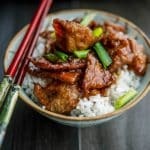 The recipe is simple and uses flank steak, cornstarch, oil, soy sauce, brown sugar, garlic, water and scallions; which besides the beef, I already had all of the ingredients in my pantry. 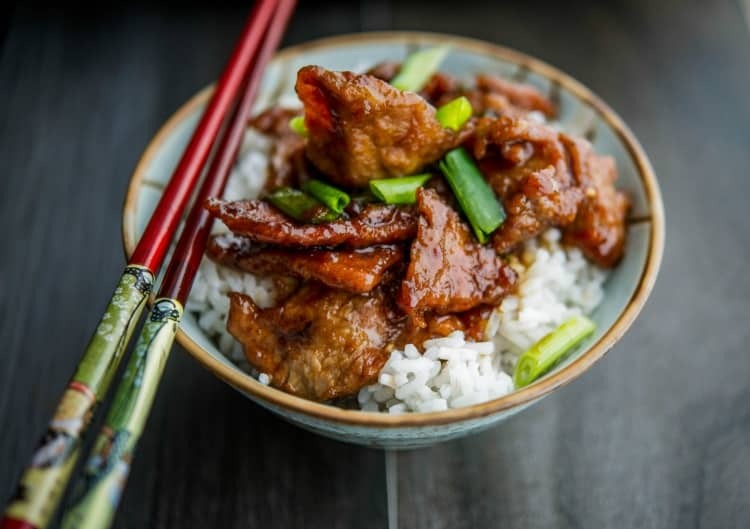 What I love most about this recipe for Mongolian Beef (besides the fantastic flavor of course) is how easy it is to make. Because it’s done in a few simple steps, you can even prepare the components the night before; then refrigerate until dinnertime the next night where it will only take about 15 minutes to combine the ingredients together. Prepare the sauce. Add oil, soy sauce, brown sugar, garlic and water to a small saucepan. Cook over medium heat until sauce starts to thicken; approximately 15 minutes. Set aside. (You can also refrigerate this sauce overnight until you’re ready to cook the entire meal). While the sauce is thickening, start slicing the flank steak into thin strips across the grain; then cut them down into bite sized pieces (about 1-2 inches). Place the beef in a large resealable plastic bag and add the cornstarch. Jo called for 1/2 cup, but I found 1/4 cup was enough. Close the bag and coat the beef really well until all of the pieces are covered with the cornstarch. Heat oil in a large nonstick skillet (I just love my 14″ All Clad nonstick pan) and add the beef. Cook until it is browned and cooked through. If using a smaller size pan, you may have to do it in two batches. Add the sauce and stir making sure all of the beef is coated; then add the chopped scallions. Serve over cooked rice. This recipe for Mongolian Beef was spot on. In fact, my husband told me after his first bite that I had to make it again very soon, it was that good. I served ours over white minute rice (to save time), but any rice would do. Jo had suggested cutting the meat first; then refrigerating it before making the sauce. I found that when I started the sauce first, I had about 15 minutes to utilize to cut the meat into strips, coat with cornstarch, get a bowl prepped of chopped scallions and start my minute rice in the same amount of time. In all, by doing the steps in this order, I was able to have a complete meal ready in about 30 minutes. ~Enjoy! Prepare the sauce. Add stir fry oil, soy sauce, brown sugar, garlic and water to a small saucepan. Cook over medium heat until sauce starts to thicken; approximately 15 minutes. Set aside. (You can also refrigerate this sauce overnight until you're ready to cook the entire meal). Place the beef in a large resealable plastic bag and add the cornstarch. Close the bag and coat the beef really well until all of the pieces are covered with the cornstarch. Heat canola oil in a large nonstick skillet and add the beef. Cook until it is browned and cooked through. If using a smaller size pan, you may have to do it in two batches. Add the sauce and stir making sure all of the beef is coated; then add the chopped scallions. Serve over cooked rice. 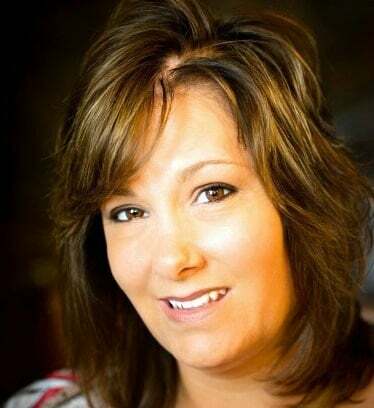 This post includes links to my affiliate account at Amazon.com where Carrie’s Experimental Kitchen earns a few cents on the dollar when readers purchase the items I recommend. Thank you for supporting Carrie’s Experimental Kitchen when you shop at Amazon. Alicia, we liked it so much I just made it again last night! Though my store was out of flank steak so I substituted london broil. It was good, but definitely not as tender as the flank steak. 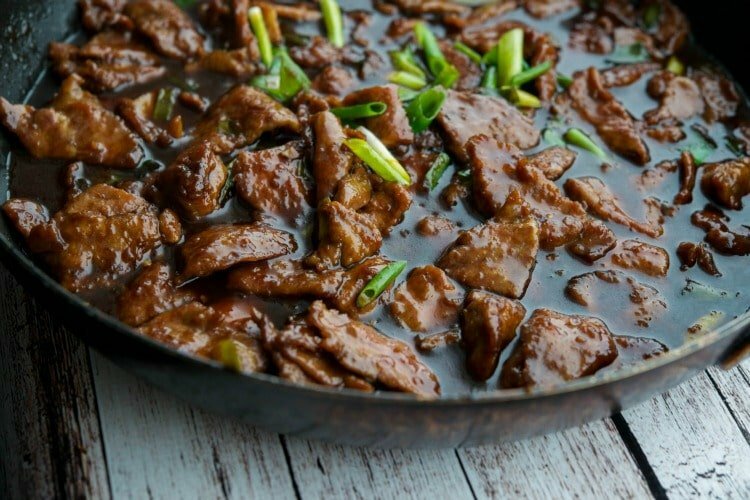 Looks like a great mongolian beef. It was very tasty. My family loved it and has already requested for me to make it again. I made this tonight and it was so easy, and so good!! We had no leftovers! This was very good, but I thought it was too sweet. I will cut back on the sugar next time, maybe use 1/2 cup. I used Petite Sirloin because I had some in freezer, it was so tender. It is a bit sweet; which is probably why my kids love it so much. 🙂 Thanks for trying the recipe and I’m glad you liked it Sue. Just so you know, the Mongolian sauce at PF Chang’s also has fresh chopped garlic cloves in it. The sauce made in larger quantities than your recipe, so for the size sauce in your recipe I would put 1 to 3 cloves of chopped garlic (depending on your liking) in the sauce during the simmer. There you go! I made this for my family tonight! Very good! I didn’t have low sodium soy sauce on hand and so I used regular. I will definitely get the low sodium for next time as mine turned out very salty! Also, I used 1.5 lbs of flank steak…about half of the sauce this recipe makes would have been plenty for the 1.5 lbs of flank steak. Will definitely do this again!!! Hi Carrie, I was just wondering what stir fry oil you used? Hi Janet, I used Asian Gourmet Stir Fry Oil but any brand would work. Enjoy! This is very good,but I make one tweet to it. The oil for the sauce, I used sesame oil. This oil enhances the Asian flavors of any oriental dishes.